Tomorrow: GEO Work In at University Hall! 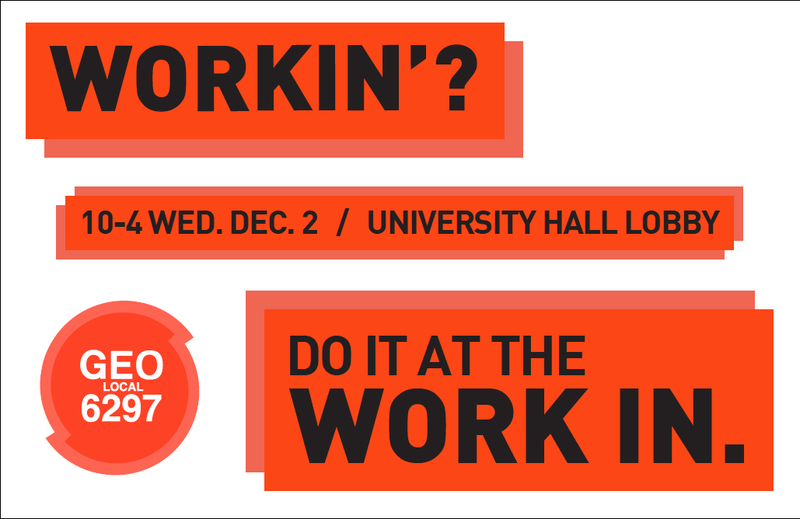 To kick off our contract campaign, UIC GEO is hosting a work-in at University Hall on December 2 to remind the University about all the work that GAs and TAs do. Bring your work, wear a GEO shirt (or wear red) and help show that our work powers the university! Come any time between 10 and 4, and stay as long as you like!